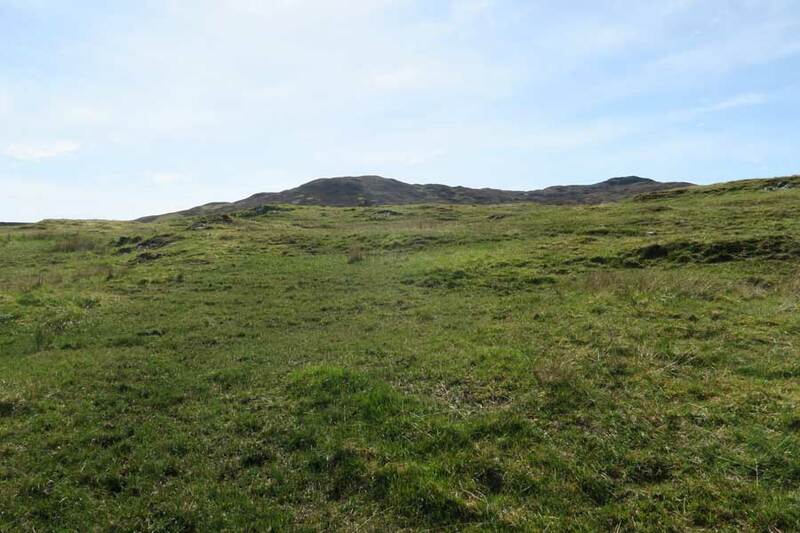 A short walk to admire the remains of the chambered cairn, Greadal Fhinn, on the summit of a knoll at Ormsaigmore on the Ardnamurchan peninsula. 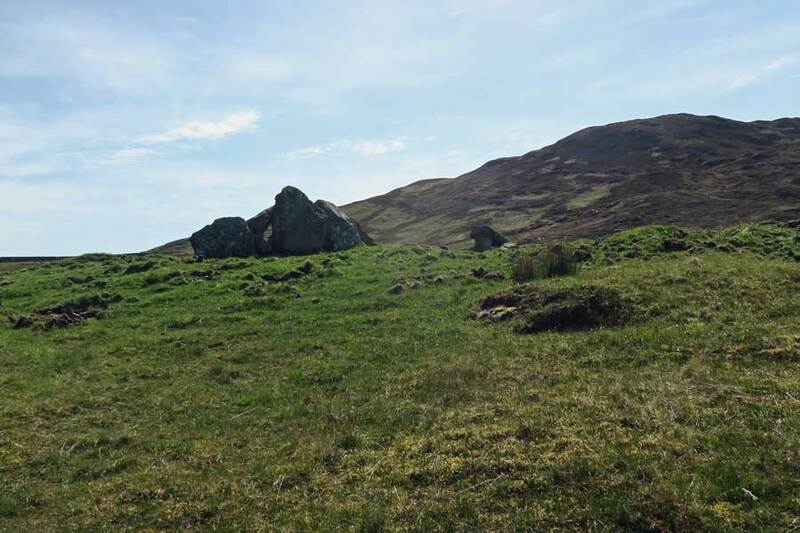 The Neolithic cairn contains two chambers, a larger passage grave on south-eastern edge of the mound and a smaller central cist. 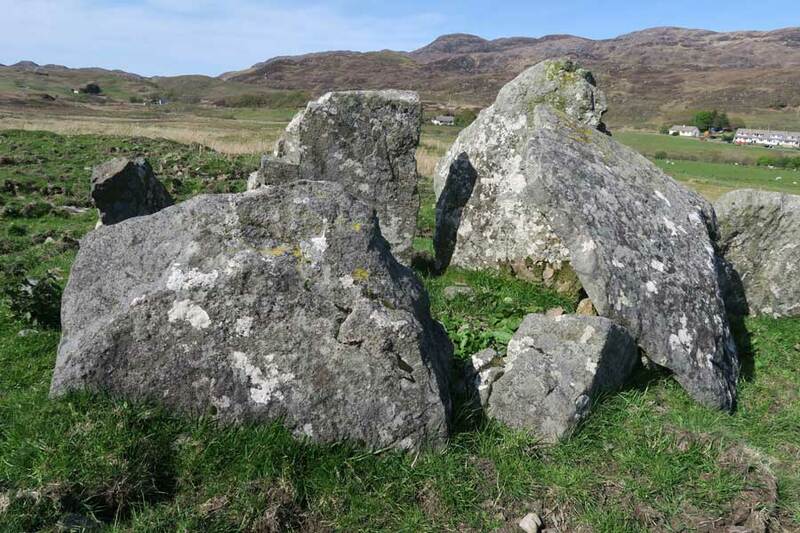 Most of the cairn stones have been removed/redeployed. 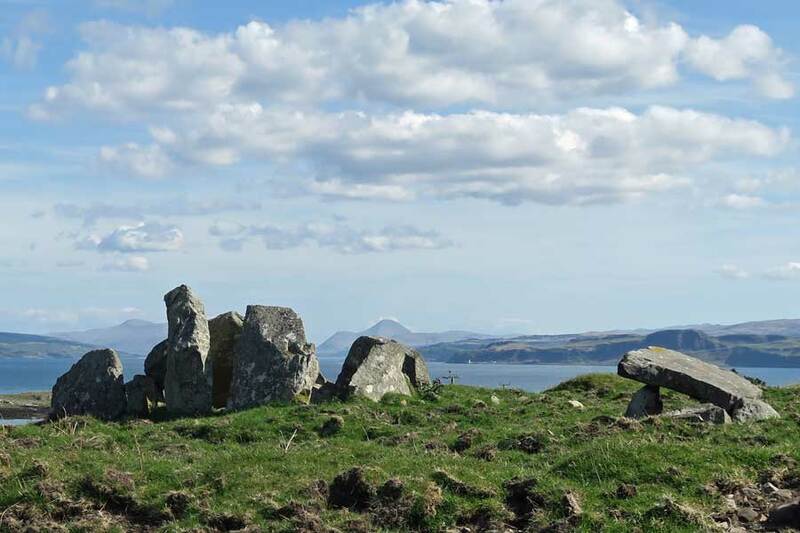 The outer edge of the cairn is marked by a kerb stone on the southern edge, one of many that may have surrounded the cairn at the time of construction. 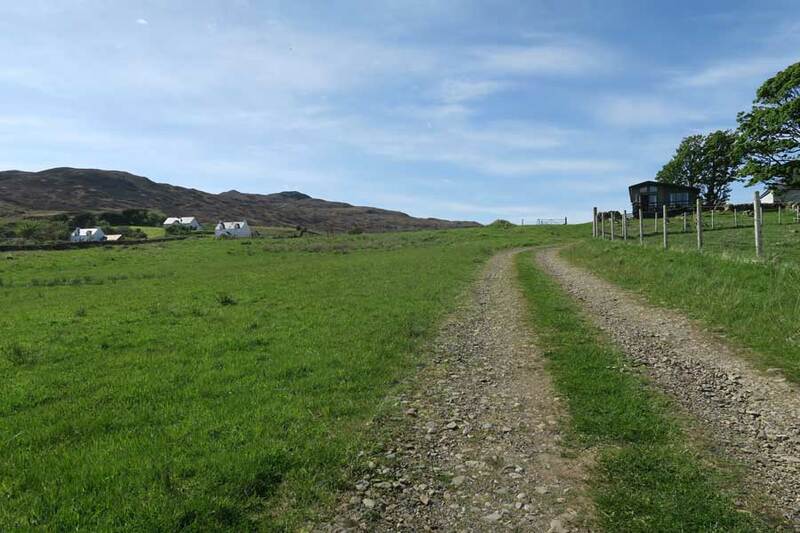 Park by The Ferry Stores at Kilchoan and walk eastwards along the road for 100m. 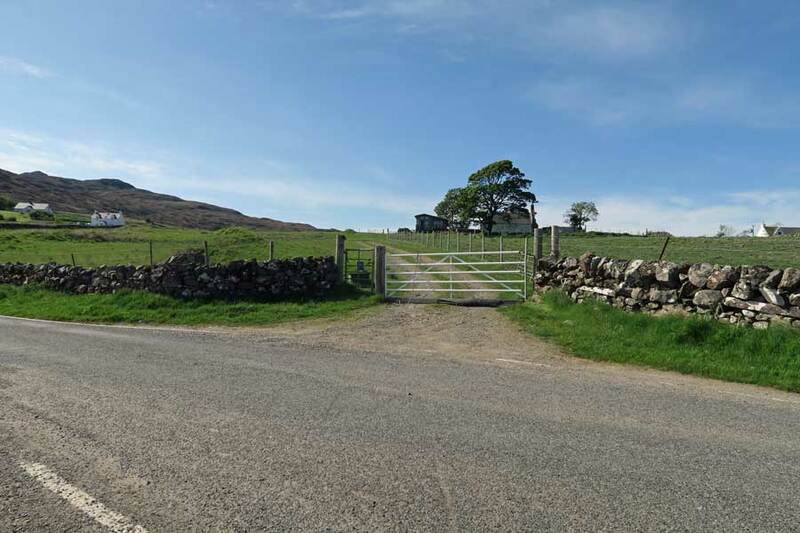 Take the track by Grianan croft which is accessed via a metal gate. Walk up the track, keeping left where the track veers to the right. Pass by side of the houses and go through a metal gate into field of rough pasture. Head towards the next metal gate. Once through the gate, head towards a clump of hawthorn adjacent to a stone wall. Pass through an opening in the stone wall and head towards the standing stones on the raised mound. 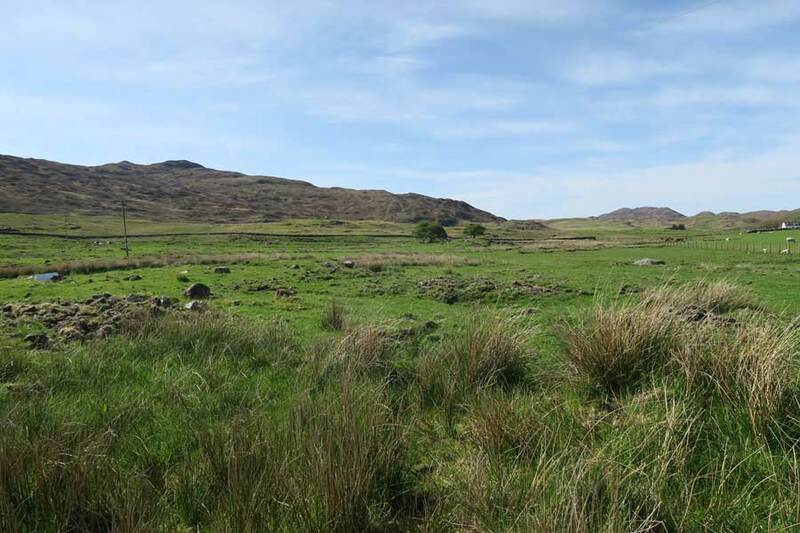 Take time to explore the ancient burial site constructed over 6000 year ago in Neolithic times.